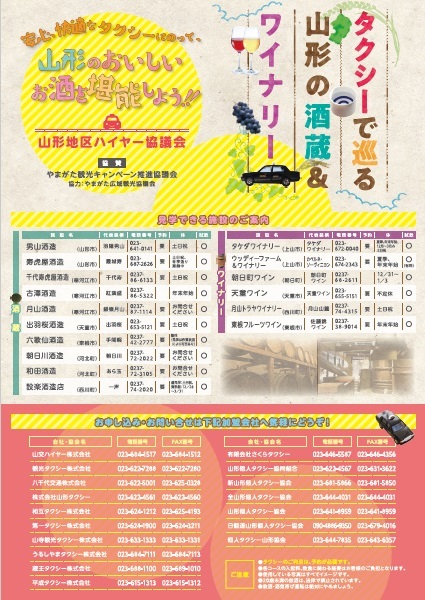 In Yamagata District car for hire meeting, we carry out plan to surround winery and sake brewery of Murayama area by taxi. 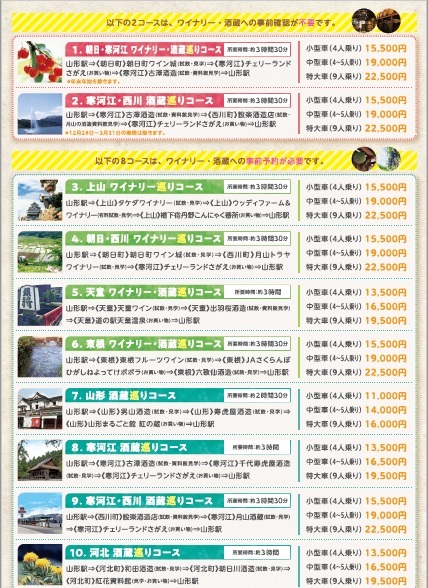 All 10 Courses departing from and arriving at Yamagata Station. Please enjoy sampling, visit in curious winery and sake brewery. 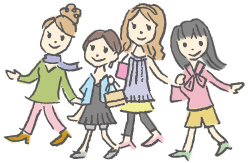 We drop in at recommended Gifts purchase spot on the way. By taxi as was movement easily, "overbought a lot of just Gifts. . It is tonattemo size length husband! In relief, comfortable taxi, let's thoroughly enjoy delicious liquor of Yamagata! About Courses contents, rate, the time required that are Details, please see this flyer (PDF).